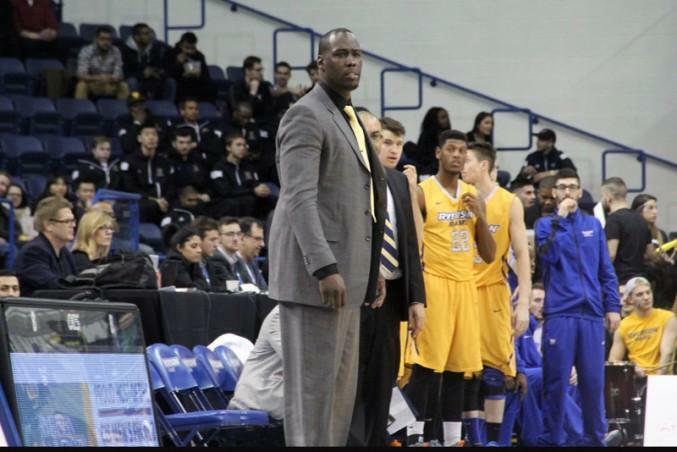 Patrick Tatham is taking a leave of absence from the Ryerson men’s basketball team for professional development during the upcoming 2016-2017 season, according to Ivan Joseph, Ryerson’s director of athletics. Tatham will be spending eight months working with the Maine Red Claws of the NBA’s Development League, according to a report from The Mississauga News. The Red Claws are affiliated with the Boston Celtics. The Rams had previously confirmed Tatham’s leave on their official website, but the team he would be working with was not announced. Tatham served as the team’s interim head coach last season while Rana spent the year away from the team for recruiting purposes. Tatham guided the Rams to a 17-2 regular-season record, finishing first in the Ontario University Athletics (OUA) standings while also earning the first number one national ranking by any team in Ryerson history. The team went on to win its first OUA championship, the first in any sport in Ryerson history, and claimed their second consecutive bronze medal at the Canadian Interuniversity Sport (CIS) national championship. Tatham was named the men’s basketball OUA Coach of the Year and became the first Ryerson coach to win the men’s basketball CIS Coach of the Year award. Prior to serving in the interim head coaching position, Tatham was an assistant with the Rams for five seasons.